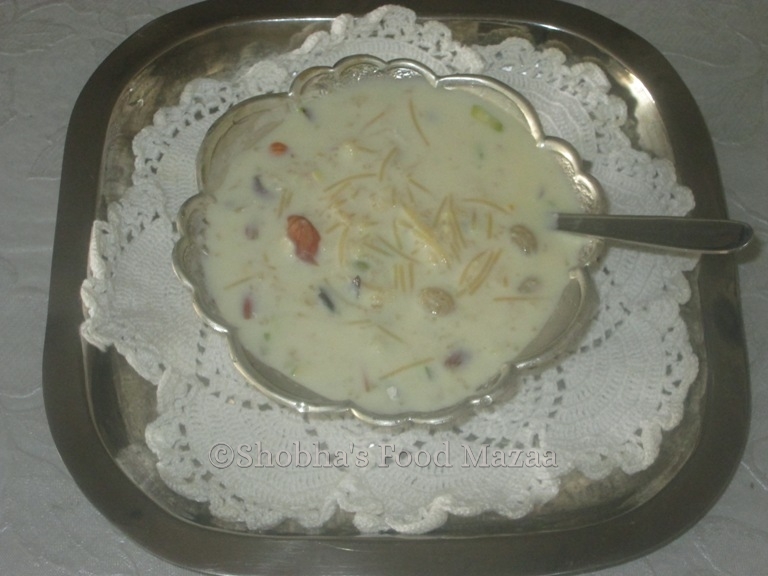 Sheer Khurma is a traditional Muslim festive breakfast / dessert.This special dish is served on the morning of Eid day in the family after the Eid prayer as breakfast, and throughout the day to all the visiting guests. Vermicelli roasted in desi ghee is cooked with milk. Lots of dry fruits, dates, raisins and sugar are added along with cardamoms and rose water for flavouring this rich dessert. 1. In a thick bottomed pan heat desi ghee and saute the vermicelli for half a minute. 2 Now add the milk, saffron and crushed cardamoms. 3.. Simmer it and keep stirring until the vermicelli are cooked. 4. Now add sugar and a pinch of salt and simmer until the sugar melts. 5 Tip in the sliced pistachios, almonds, raisins and sliced dates. If the dates are not fresh soak them in hot water or milk before adding. 6. Finally stir in the rose water. 7. 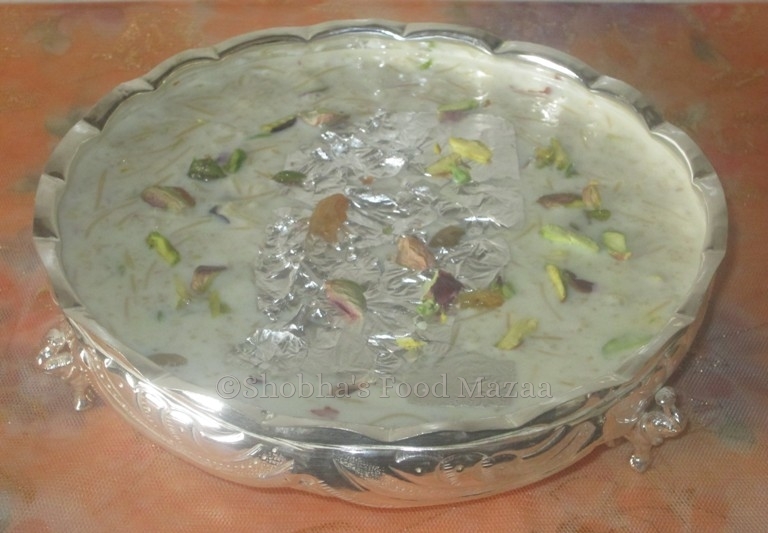 Garnish the sheer khurma with silver varq and some sliced dry fruits before serving. I love this rich and decadent dessert. Your bowl of sheer korma look delicious and very tasty.